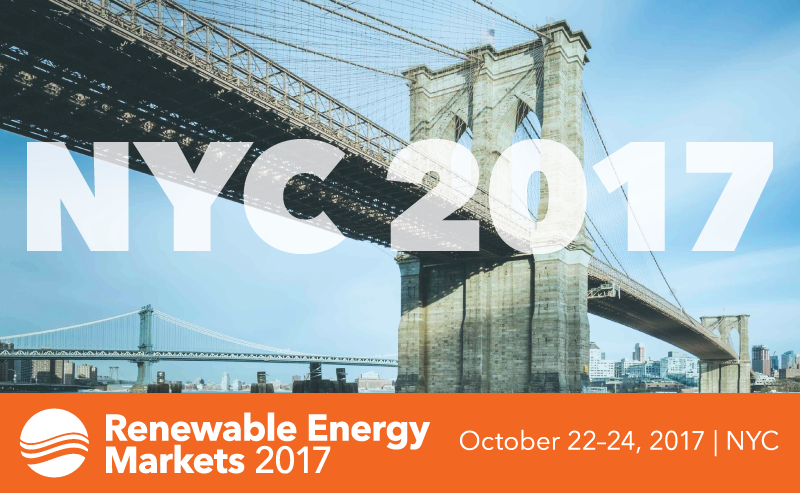 REM 2017 begins with the essential Voluntary Renewable Energy Markets 101 pre-conference workshop, which offers an overview of green power basics and a brief history on the development of the marketplace. It's also a detailed introduction to the key industry issues, players, and products that affect the progress of renewable energy—while offering insights on present and future market indicators. 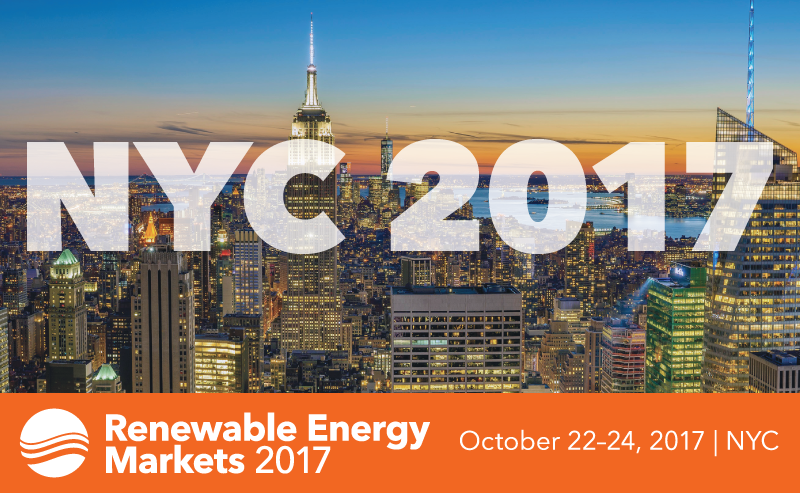 Don't miss the Sunday night Opening Night Reception—the first chance you'll have to catch up with other clean energy stakeholders, including generators, marketers, utility representatives, purchasers, policymakers, and regional stakeholders. The annual Green Power Leadership Awards are given out every year by Center for Resource Solutions and the U.S. EPA to the year's most exemplary leaders and companies in the green power marketplace. Join us to honor this year's winners. Without a doubt one of the best parties you'll go to all year is the annual Green Power Party, brought to you again by CleanChoice Energy. Meet up with colleagues and friends over a cocktail at the historic Manhattan Club in this relaxing, casual celebration of our progress and commitment to the cause. The full rate ends in just over a week. Register before October 14th and save $225 off the Corporate Week-Of Rate. Join over 400 leaders at the clean energy industry's most important annual conference, including renewable energy generators, electricity providers, utilities, corporate purchasers, and policymakers from across the country and around the world. Renewable Energy Markets couldn't happen without the support of our Sponsors. Consider the unique opportunity to get your name in front of over 400 decisionmakers from around the globe by becoming a REM 2017 Sponsor. You can also contact Chip Wood at chip.wood@resource-solutions.org or 415-568-4287. Have you seen the latest updates? REM 2017 is the best place to catch up on news, trends, and strategies, with a comprehensive program focusing on everything you need to understand and take advantage of expanding markets around the world. This year continues to be one filled with surprises—don't miss this opportunity to meet with and learn from the decisionmakers navigating the new market and policy landscape. The full rate ends in just a couple weeks. Register before October 14th and save $225 off the Corporate Week-Of Rate. Join over 400 leaders at the clean energy industry's most important annual conference, including renewable energy generators, electricity providers, utilities, corporate purchasers, and policymakers from across the country and around the world. 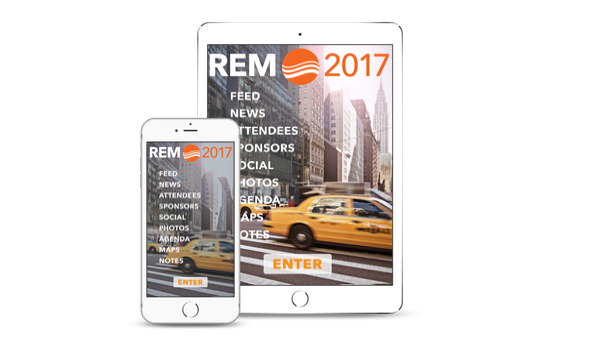 Download the official REM App today and explore REM 2017 in a whole new way. The REM app is the best way for you to navigate sessions, side events, parties, and more. With the app, you can plan your day with a personalized schedule, browse program tracks and speakers, interact on social media, and learn more about our sponsors and supporting organizations. To get the guide, you can either download the Guidebook app from the Apple App Store or the Android Marketplace, or visit guidebook.com/g/REM2017 from your phone or tablet. To find our guide from the Guidebook app, search for "Renewable Energy Markets 2017". The first round of speakers, sessions, panels, and side events are posted at REM 2017 Agenda. 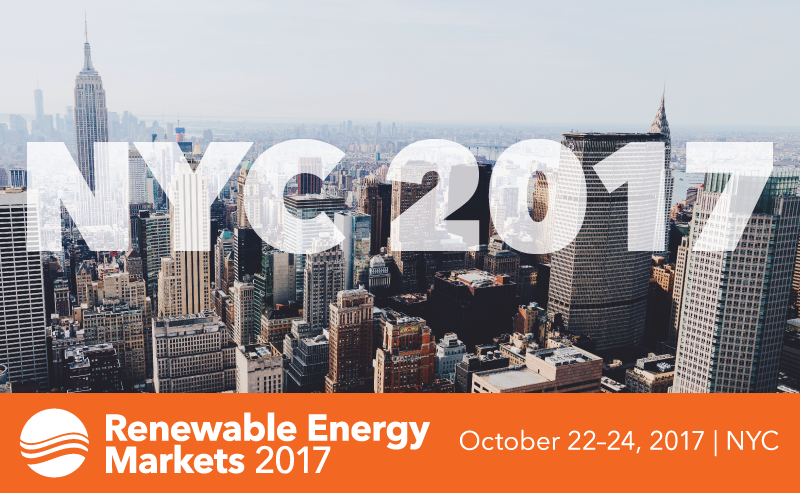 Sessions include community solar and community choice aggregation programs, corporate power purchase agreements, new international opportunities, marketing and communication strategies, and much more. Early Bird registration ends soon! Reserve your place before Monday, August 14th, and save $330 (22%) off the Corporate Week-Of Rate. Join over 400 leaders at the clean energy industry's most important annual conference, including renewable energy generators, electricity providers, utilities, corporate purchasers, and policymakers from across the country and around the world. Our reduced-rate hotel block is filling up fast, which means time is running out to save over the current published rate—so act fast to lock in savings. Don't miss this opportunity to save on the most engaging, informative, and interactive clean energy conference of the year. The hotel block ends September 29th. The Official REM 2017 App Is Live! We would like to thank all our REM 2017 Sponsors, including new Keynote Sponsor PSE&G, new Session Sponsor Natural Capital Partners, and new Media Sponsor Clean Edge.